Feedback can be found under More option. Click on Feedback to access. Here you can choose to submit a question, suggestion or report an error. Briefly tell us what you think; you can even attach a photo or screenshot. Hit Submit and you are all done! 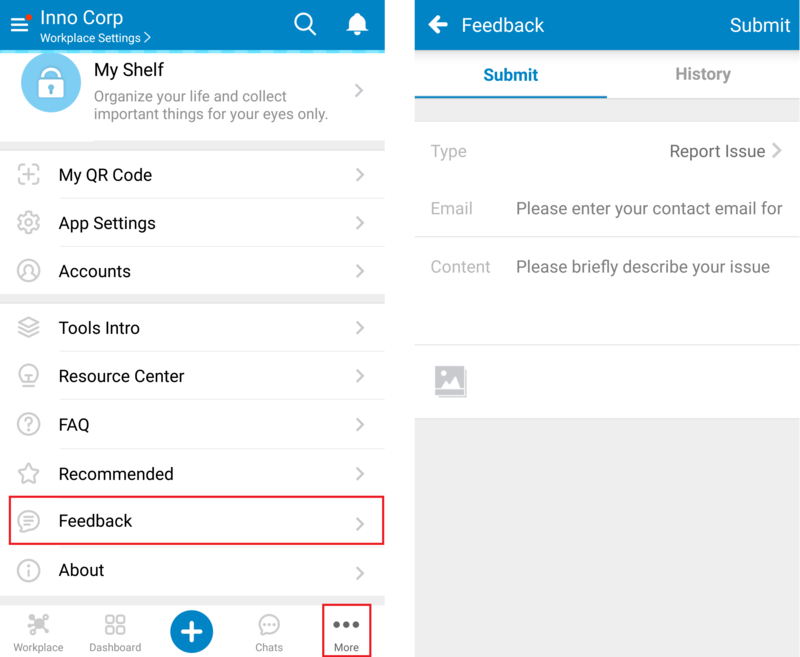 You can also click on History to view past feedback you have submitted. We sincerely thank you for all your comments, questions, suggestions, without them, WorkDo would not be what it is today, so please keep letting us know what you think! We provide function tutorials and interesting articles every week! This entry was posted in Uncategorized and tagged Android, Apple, business, collaboration, feedback, HR, hrs, Leave, productivity, Task, Team+, teamwork, Tools, WorkDo, Workplace. Bookmark the permalink.